Carbs are bad…carbs are the devil…sugar makes us fat…sound familiar? Bananas have sugar, so they must be bad too. Right? 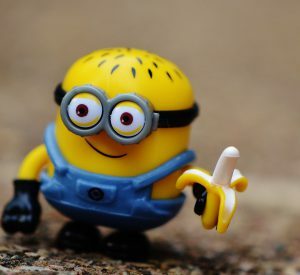 For some reason bananas have gotten a bad name lately, I’m guessing it has something to do with the whole “carb craze” we seem to be in these days. But are bananas bad for you or not? Take a look at the facts and make up your own mind. Bananas are fruit (if this is news for you, you may want to stop reading now…). Fruit is supposed to be good for us right, you know, with all the nutrients and vitamins they have? This is true, fruit provides us with a lot of good stuff, but it is also high in sugar, or carbohydrates. Now especially, everyone is really weary about consuming sugar. There are so many diets telling us to avoid carbs, some telling us to cut them out of our diet completely. We aren’t allowed to eat bread anymore because it will make us fat. 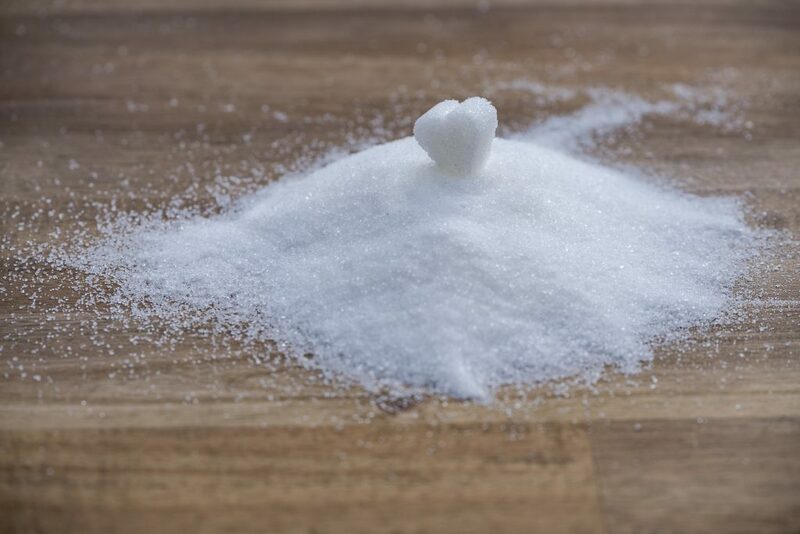 Candy, cookies, soda…all sources of sugar that are bad for us. Somehow, I feel certain fruits have been thrown in this mix. Bananas especially. Why bananas? Don’t ask me. I saw an article online talking about all the problems with eating bananas and how they really aren’t that good for us. Got me thinking. My family eats bananas every day. They are one of my son’s favorite fruits. Should we be eating them? Let’s take a close look at the nutritional info of one of the world’s favorite fruits. A couple things I’d like to point out from the numbers above: this fruit (that some believe to be “bad” for us) is only 100 calories, basically fat free, cholesterol free, and packs 3 g fiber. Let’s continue. Not only is this food low-cal and fat free, but it provides a great source of the above vitamins and minerals. Vitamin B-6 is important in nutrient metabolism and the synthesis of many chemicals in our body. Vitamin C plays an important role in our immune system and tissue health. Magnesium is important for heart health and bone strength to name a few. Ah, yes. There are 14g of sugar in your average banana. That is a decent amount, its true. But the sugars in a banana are the natural sugars fructose, glucose, and a bit of sucrose. The fructose and glucose make up the majority of sugar in a banana. Most of the junk food we enjoy has added sugar in the form of high-fructose corn syrup. The natural sugars in fruit are typically considered less hazardous to our health because they don’t spike our blood glucose levels as rapidly. 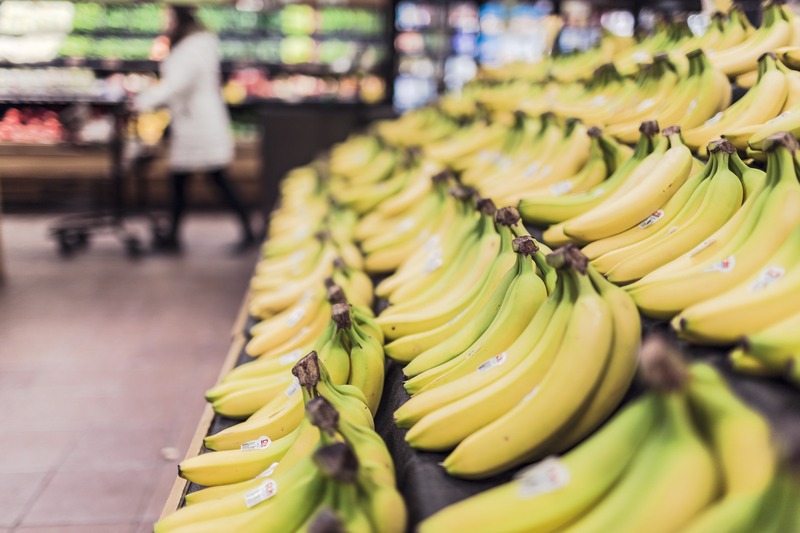 Unlike the sugary treats that we can all agree are bad for us (the cookies and candy bars), bananas have fiber in them that slows down the absorption of sugar in our blood. This means our blood glucose won’t spike as high as it would with other foods containing as much sugar. The Glycemic Index rates foods based on how rapidly they effect blood sugar levels. The scale is from 0 -100. Having a lower rating means a food has less immediate impact on blood sugar, the higher the number the more immediate the response. Bananas come in around 52. Foods below 55 are considered to have a low glycemic index. Why does this matter? Our bodies operate better when our blood sugar levels remain stable. If our blood sugar level drops too low, we feel tired, irritable, really hungry. If it gets too high, our body produces more insulin to bring it down…usually by storing it as fat. When blood sugar levels spike rapidly, the body often releases too much insulin, causing you to crash later…as well as storing more fat…not good. So, even though bananas have sugar in them, this sugar does not affect blood sugar levels the way other sugar filled treats do! Also, bananas have been singled out for having too much sugar…what about the other fruits? Apples have 19 g of sugar and less protein…grapes have 23 g of sugar…watermelon has 17 g of sugar without all of the fiber. No, bananas are not bad for you! There, the truth is out! I said it! Forget about the haters and eat your bananas. Seriously though, take a look at the nutritional data and think about it for yourself. Bananas are a low calorie, low fat food that provide several important minerals and vitamins for our body. For the folks that are worried about the sugar, I would argue that sugar is just a form of energy and our bodies need energy to function. Like anything else in life, moderation is the key. Would I sit down and eat 4 bananas for breakfast? No, I would not…that’s gross. But there is nothing wrong with including a banana in an otherwise balanced breakfast. If you are worried about the sugar content, try eating some protein or fiber along with your banana. The additional protein and fiber will further slow down the absorption of the sugar by the body. Try having a bowl of a high fiber cereal or maybe some peanut butter with your banana, make a meal of it. Even if you don’t have time to eat anything else, I would argue that eating a banana for breakfast is better than not eating anything at all. Just make sure your hunger doesn’t get the best of you when you get to work and you end up crushing a box of donuts with your co-workers. Take advantage of all the health benefits the yellow fruit has to offer and stop hating on the banana! I hope this post was helpful and made you feel ok for enjoying your morning banana. Agree or disagree? Let me know with a comment below. Fun fact: Hawaii is the only place in the U.S. that commercially grows bananas. Most of our bananas come from Latin America and South America.